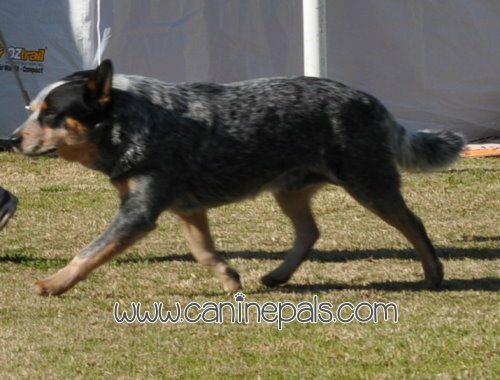 The Australian Cattle Dog is the ultimate cattle herder and can do it all day. He’s strong, agile and courageous and these attributes enable him to control cattle in open spaces and confined spaces as well. Even stubborn cows can’t get the best of this dog. 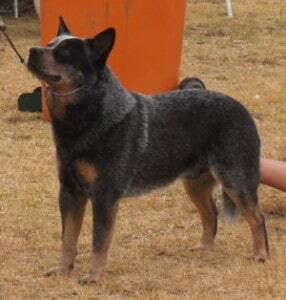 He can be red or blue and may be speckled or mottled and may also have other marks. 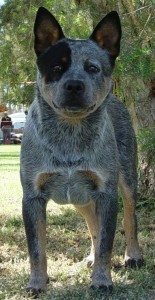 The Australian Cattle Dog used to be known as the Australian or Blue Heeler and in the 1800s was originally a mix of a Dingo-blue merle Collie, a kelpie and a Dalmatian. He loves big, open spaces. He’s full of energy and bonds easily with his family. He’s very intelligent and needs work to do to keep him happy. His short coat only needs occasional brushing and bathing. He stands 17-20 inches high.